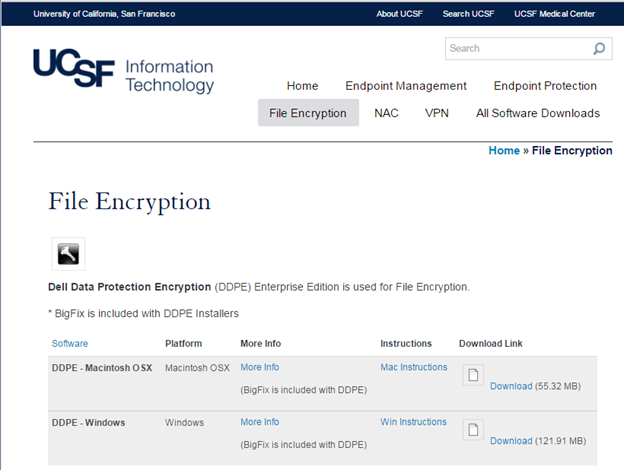 These instructions are for encrypting devices used for UCSF work that are not supported by ITFS. If you are an ITFS customer and need help with encryption, please contact the IT Service Desk at 415-514-4100. Encrypting a computer can sometimes cause serious problems, so please follow these instructions precisely, including all steps, and in the correct order. You must also backup your machine before proceeding. This process will also register your computer with BigFix, which is a security requirement for all devices used for UCSF business. At any point, if you aren't comfortable proceeding, call the UCSF IT Service Desk (415-514-4100) for help. If you would like hands-on help with encryption, please stop by and visit any of our UCSF IT Health Desk. **Note - the Moffitt Café Dining Area – 2nd Floor Health Desk has been relocated to the Health Desk at Millberry Union. Zuckerberg San Francisco General: Opening soon! A tech will walk you through the instructions step-by-step. 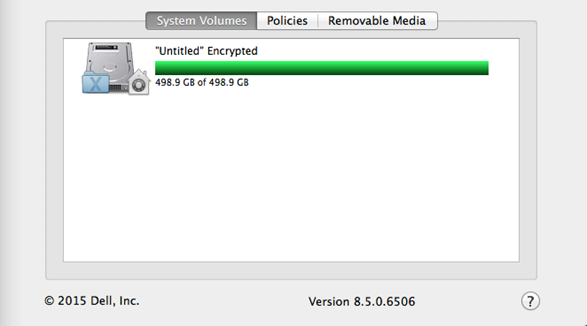 You must backup your machine before encryption can be done. If you would like to request an Encryption Exception: Encryption Exception. Symantec Endpoint Protection (SEP): Anti-virus, anti-spyware, and network intrusion prevention is required for all UCSF devices. Pulse Secure VPN client: Provides a fully encrypted connection to UCSF's network and allows access to restricted resources while off-campus, including file shares, servers, desktops and email (not including email over smartphones or webmail). Should you later need to unencrypt or uninstall, call the UCSF IT Service Desk at 415-514-4100 for help. The Service Desk will assist you – even after you leave UCSF. Is my computer encrypted already? Proceed carefully: Encrypting a computer that has already been encrypted will render your computer inoperable. Check your applications folder for programs called TrueCrypt, VeraCrypt, or CipherShed. If any of these are found and if you are using whole disk encryption, you'll need to decrypt, uninstall it, then continue below to install DDPE. If any of these are present, your computer is probably already encrypted. You will still need to install BigFix if it is not already installed. If you have already enabled Apple FileVault2, you still need to install DDPE. Continue below to install DDPE. Do I already have BigFix installed? On a Mac, look in the upper-right of the menu bar near the clock for: a blue circle with a white letter "b" or a purple circle with a green arrow. This is UCSF’s computer management program. It helps ensure that the network remains secure and allows UCSF to confirm the encryption status of lost or stolen devices. If your computer is more than four years old, call the UCSF IT Service Desk and a support engineer will help you determine if you should proceed. At UCSF, DDPE is not supported with a Boot Camp configuration. Call the UCSF IT Service Desk for next steps in the transition to VMWare Fusion. 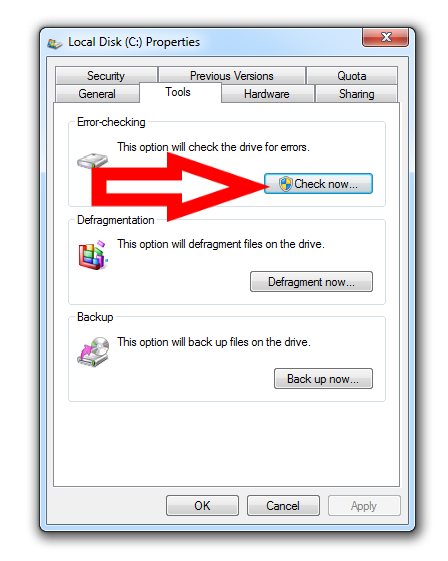 You must back up your data and application installers! Encrypting a computer can sometimes cause serious problems, including drive failure. We recommend Apple Time Machine or Time Capsule. Install any pending Apple software updates. The first section should be labeled “Software Updates” Click the “Update All” button if it appears. Your computer may ask for a reboot. 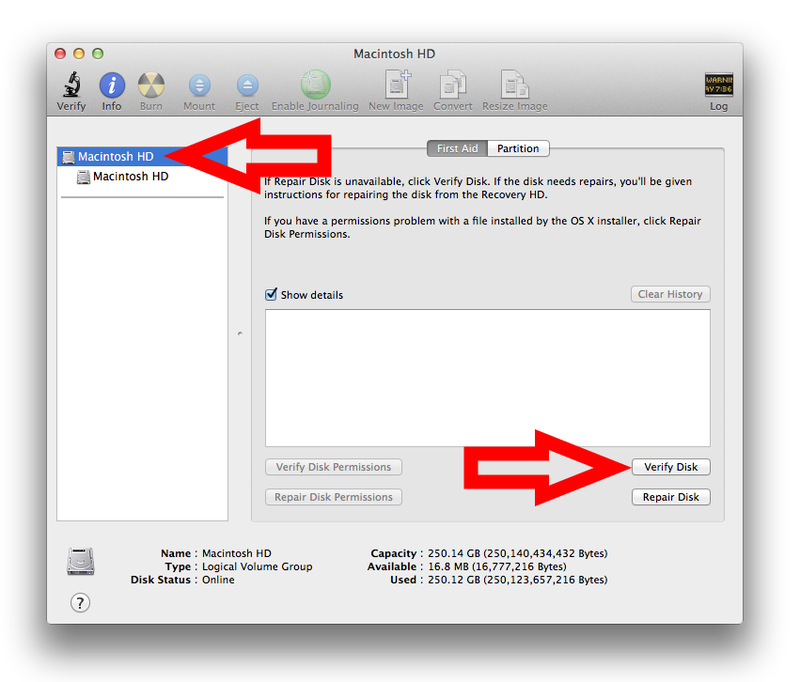 Select “About this Mac” to determine your OS X version. Click the “Free Upgrade” button to install OS X 10.12 "Sierra"
You do not need to upgrade to OS X 10.11 "El Capitan" or OS X 10.12 "Sierra"
School of Dentistry and Pharmacy students may need to delay upgrading to OS X 10.12 "Sierra" due to incompatibilities with ExamSoft SofTest. Please check with your school's technology coordinator(s) before upgrading to OS X 10.12. Perform disk maintenance. 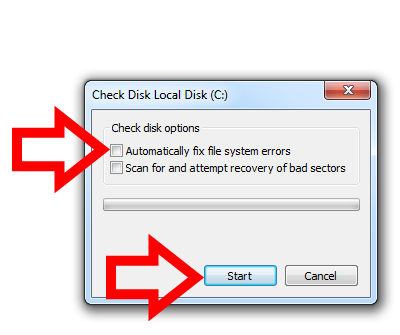 This step identifies or resolves problems with your hard drive that might cause encryption problems. 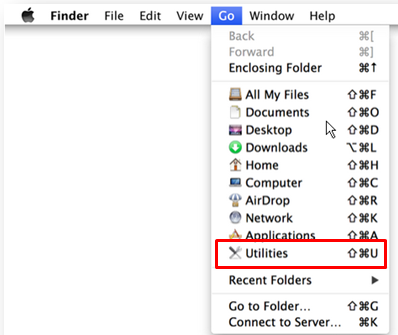 In Disk Utility, in the left pane, select the top-most icon. This process might take between 30 minutes – 2 hours. The volume Macintosh HD appears to be okay. If needed, call the UCSF IT Service Desk at 415-514-4100 for help. If no problems were reported, you are ready to encrypt. If during encryption your computer loses power or is jostled, it could render your computer inoperable. Take steps to eliminate these risks before you begin. Adjust your computer’s power settings so that the computer never sleeps. 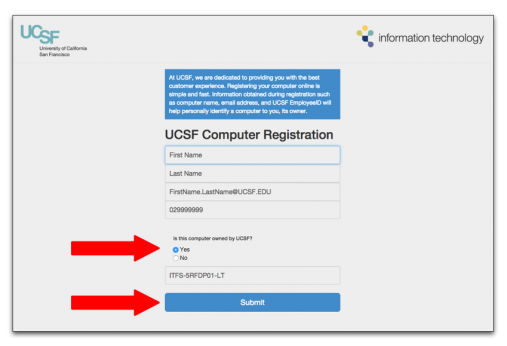 Log in to software.ucsf.edu using your MyAccess credentials. 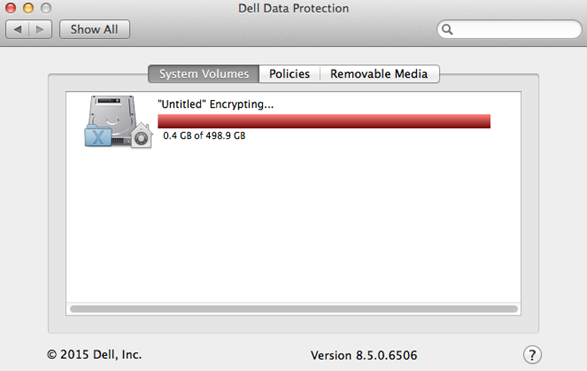 Click DDPE (Dell Data Protection Encryption). DDPE encrypts your data so that if your computer is lost or stolen unauthorized persons cannot retrieve it. 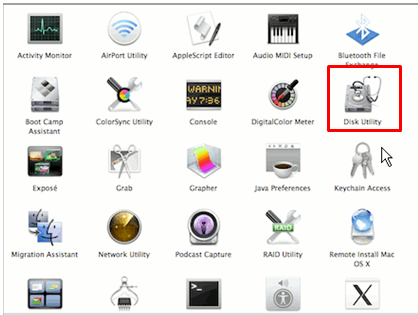 Download and open the installer for Mac OS X. 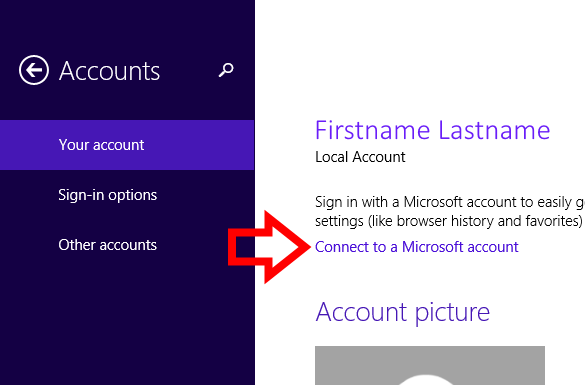 Follow the instructions that appear to progress through the installer, then log in to MyAccess. (For help logging in, visit MyAccess FAQs.) After you successfully log in to MyAccess, a computer registration page will appear. Registration – At the UCSF Computer Registration page, answer the question about who owns the computer, then select Submit. A thank you page will appear.You can close the browser window now. Follow the instructions to restart your computer and then log in to your computer. 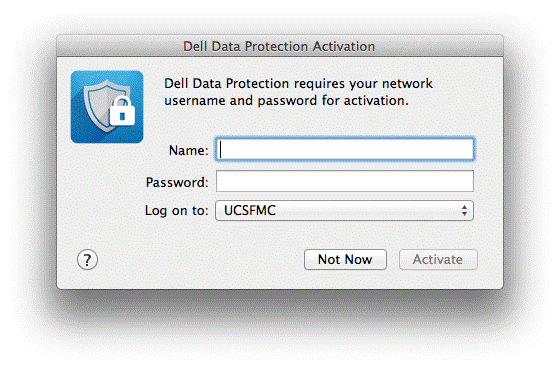 A dialog called Dell Data Protection Activation should appear. If it does not appear, ensure that you are connected to the internet. Installation will continue, and a Shield dialog box will appear. Click “Restart” to restart your computer. Enter the password you use to log in to your computer. The encryption process will begin and usually takes between ~2-4 hours to complete. While it encrypts you may use your computer, put it to sleep, or turn it off. Your computer is already encrypted and DDPE will periodically confirm its encryption status with UCSF. 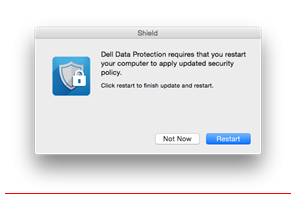 If you don’t see the Dell Data Protection icon in System Preferences, or if disk status says something like “Repair needed” or “Unable to encrypt”, call the IT Service Desk for help. 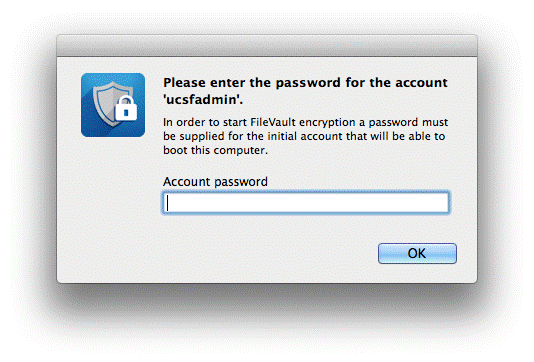 DDPE will save a copy of your FileVault2 recovery key on a UCSF server. The recovery key will not be displayed to you and is not saved on your Mac. If you ever need your Mac's FileVault2 recovery key, you can contact the IT Service desk 24/7 to obtain it. Windows 10 Version 1803 "April 2018 Update"
Restart your computer and log back in. DDPE should complete encryption activation automatically within a few minutes while connected to the Internet. This applies to "feature updates" or "version updates" only. Regular Windows 10 Security Updates and Quality Updates can always be installed.."Feature updates" only contain new features, and do not contain any security fixes. Quality updates are the "required" updates that protect your computer against security threats. You should always be able to install quality updates, UCSF provided programs like Dell Data Protection Encryption (DDPE) and Symantec Endpoint Protection (SEP) will not prevent the installation of quality updates. Feature updates are optional and do not impact your computer’s vulnerability to security risks like viruses or ransomware. They only add new features, like digital pen support or the ability to watch 360° video. Since feature updates contain major upgrades to core parts of Windows, some software is not immediately compatible with new feature updates. 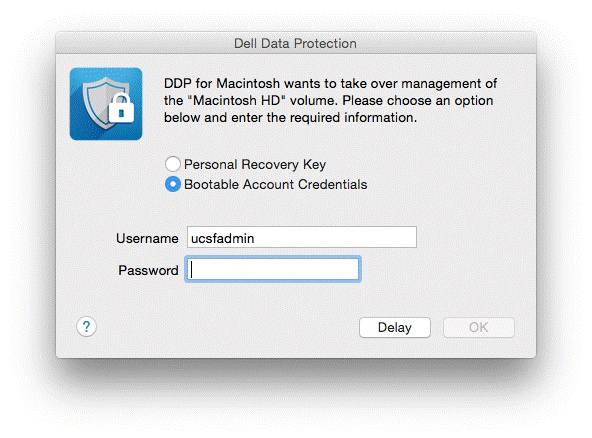 UCSF provided security software such as Dell Data Protection Encryption (DDPE) and Symantec Endpoint Protection (SEP) may prevent the installation of feature updates. You may be unable to install Windows 10 Feature Updates until a newer version of a UCSF provided program is available, but this does not put your computer at any greater risk to security threats like viruses or ransomware. 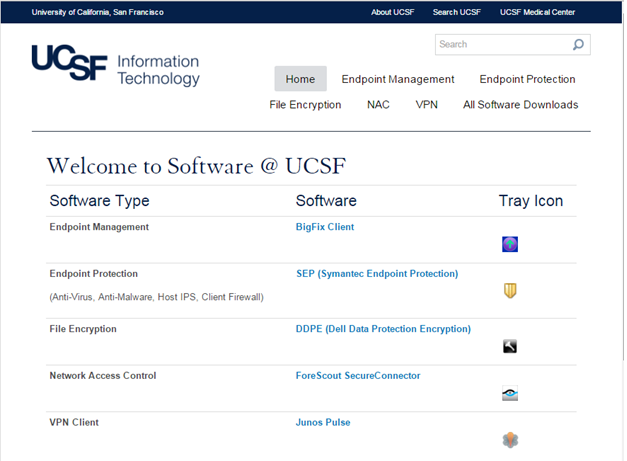 We recommend checking https://software.ucsf.edu to download the latest version of UCSF security software programs as necessary. Check your Start menu for programs called TrueCrypt, VeraCrypt, or CipherShed. If any of these are found and if you are using whole disk encryption, you'll need to decrypt, uninstall it, then continue below to install DDPE. Check your computer for the following encryption applications. 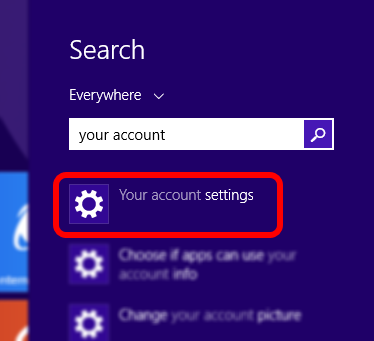 On Windows computers check the system tray (aka "task bar") and verify that you see the icon with purple circle and a green arrow. This is UCSF’s computer management program. 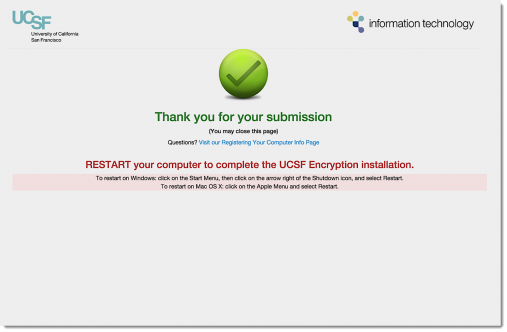 It helps ensure that the UCSF network remains secure and allows UCSF to confirm the encryption status of lost or stolen devices. Windows 7, 8.1, or 10. If your computer is more than four years old, call the Service Desk and a support engineer will help you determine if you should proceed. Install any pending software updates. Confirm that your internet connection is working. If you are on campus, please connect to UCSFwpa; see the Tutorials section at UCSFwpa - Secure Wireless. No problems were found on the device or disk. It is ready to use. No problems were found on the device or disk. Download and open the installer for Windows. 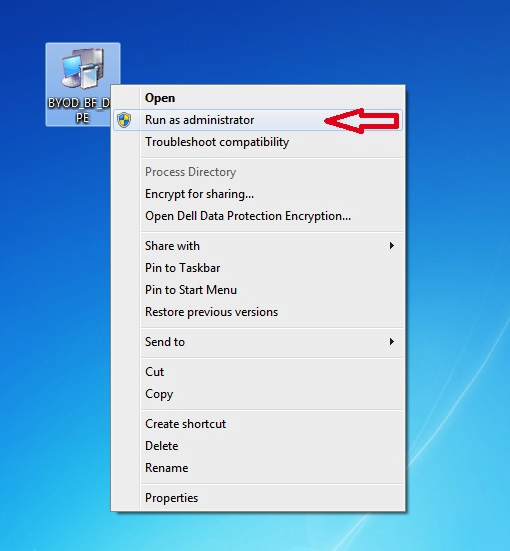 Right click on the downloaded file and select “Run as administrator”. A thank you page will appear. You can close the browser window now. 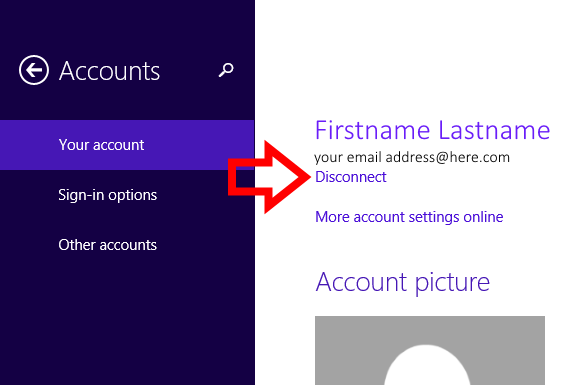 Windows will ask for your current password and then ask you to set a new password- you can reuse your current password. The encryption process will begin and usually takes ~2-4 hours to complete. While it encrypts you may use your computer, put it to sleep, or turn it off. “OSDisk” should show following text: “In Compliance”. 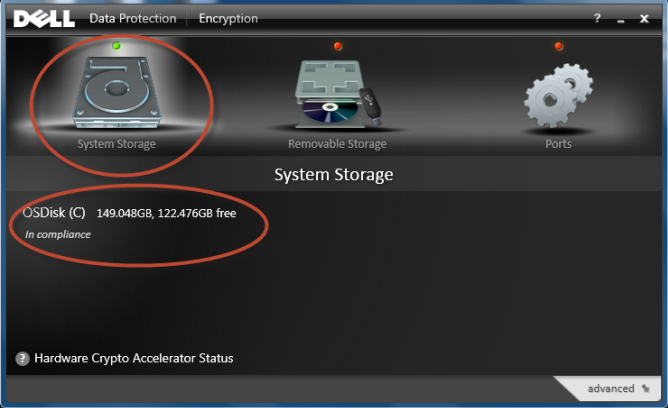 The dot over “System Storage drive” should be green as well.